Build and own alternatives to oil, coal, natural gas, and other toxic mined resources. For every Protest you join, PURCHASE items that build solutions. HEMP = OIL, BAMBOO = COAL. Women selling and buying is the goal. 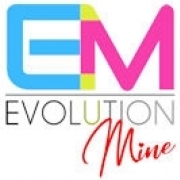 Claim YOUR EvolutionMine! The Opportunity for change is unprecedented. What we are about to show you is UNPRECEDENTED.